It's release day for my critique partner Emma L Adams! Delinquent: An Alliance Novella, a prequel to the universe-hopping urban fantasy Alliance series is out now. Don't forget to scroll down for a giveaway! Nineteen-year-old Kay Walker seems to have it all, including an assured future with the Alliance after he graduates from the prestigious Academy. 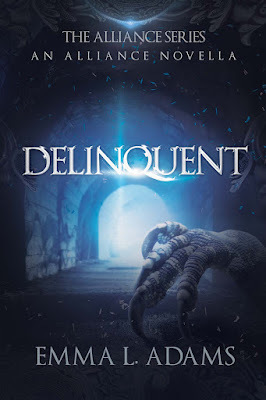 But when he and his friends discover the lure of the Passages, the place between the worlds where monsters hide, they’re caught up in a contest with rival student Aric - which soon escalates into a deadly game. Start the series from the beginning with Adamant (Alliance, #1)! 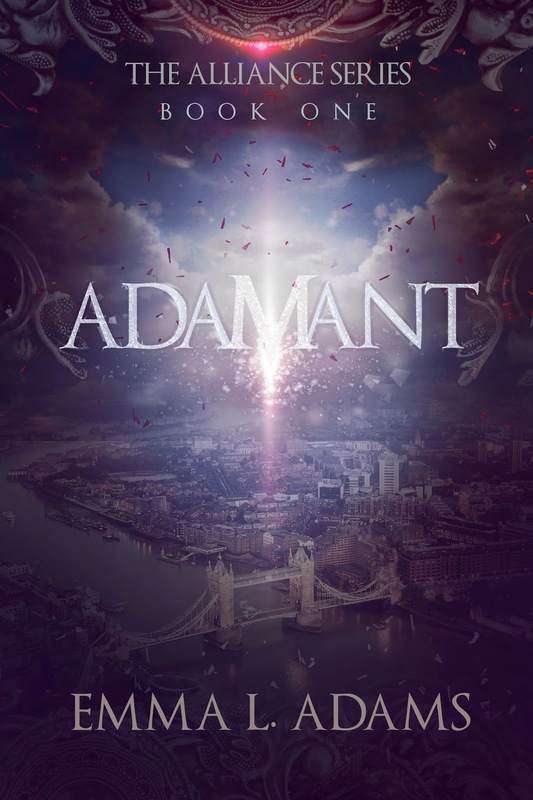 Adamant is the first in the world-hopping urban fantasy Alliance series. Ada Fletcher is twenty-one, keeps a collection of knives in her room, and lives under the Alliance's radar in London, risking her life to smuggle people away from a devastating magical war on her homeworld to hide on the low-magic Earth. Being arrested wasn't on her plan, nor was being accused of a murder she had nothing to do with. But when a simple delivery goes wrong and she's taken into custody by the Alliance, her unusual magic makes her a prime suspect for a supervisor's suspicious death. Kay Walker, grandson of the Alliance's late founder, expects to spend his first week as an Alliance employee chasing monsters out of the dark Passages between worlds, not solving a murder. But it's clear the strange, fierce young woman he arrested in the Passages stole something highly dangerous from the Alliance - and the closer he gets to the truth, the higher the body count rises. The last thing Ada wants is to help the infuriating Alliance guard who arrested her, but it soon becomes clear that the Alliance knows too much about Ada's magic. More, in fact, than she knows herself. Now she has to choose between loyalty to her family, and helping the Alliance save the Earth - and the Multiverse - from a deadly enemy. "Adamant is a fantastic start to a fun, adventurous and super cool series... a world so well written and brought to life you can totally lose yourself in it... Can't praise it enough!" - Alisha at Reality's A Bore. 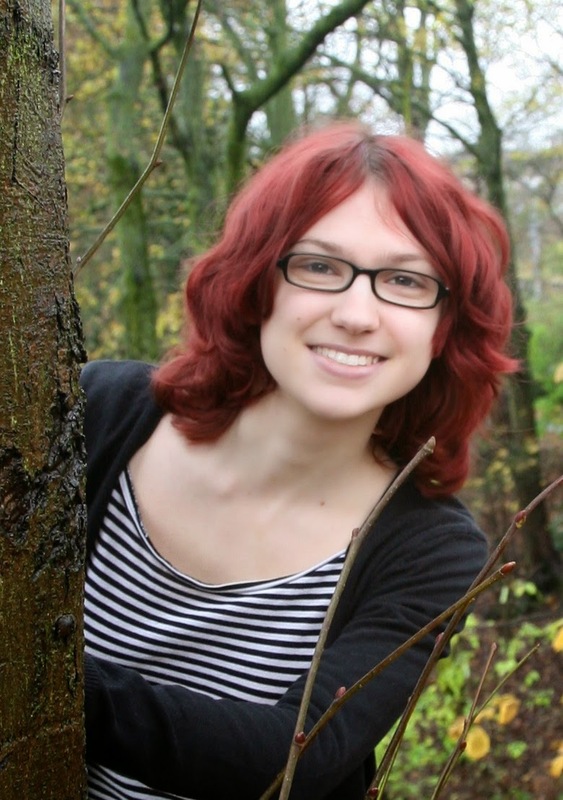 You can visit www.emmaladams.com to find out more about Emma's books, or subscribe to her newsletter (smarturl.it/ELAnewsletter) to get a free Alliance short story and monthly updates on upcoming releases.